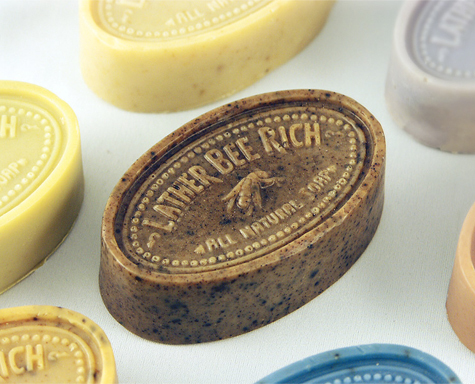 Lather Bee Rich's soaps use an authentic recipe from the 1920's, with ancestors of the soapmaker as the main "characters" for each alluring scent. Tin canisters were used for the packaging. Designed by El Designo.